Do You Have a Visa Credit Card...Is it a Visa Signature Credit Card? Have you checked your wallet lately? I'm sure you currently have a credit card in your wallet through Visa, MasterCard, Discover, or American Express, but is there a Visa Signature card among your collection of credit cards? The Visa Signature logo would be on the bottom right of your credit card. Do you have a Visa Signature Credit Card in your wallet? If yes, you are entitled to a lot of "hidden benefits" that you may not even be aware of including travel benefits, shopping benefits, entertainment offers and lots of other card services just for having a Visa Signature Credit Card. The benefits provided by Visa Signature can be very beneficial, and for some credit cards available, there is no annual fee. An example of a Visa Signature card that has no annual fee is the Chase Freedom Credit Card. Some Visa Signature cards, like the Chase Sapphire or Bank of America Alaska Airlines card, come with annual fees, but even considering the yearly annual fee, the benefit you can get can far outweigh the annual fees. Qualification for a Visa Signature credit card is based on your credit worthiness and Visa Signature typically requires a minimum line of credit for the Visa Signature product. If you don't qualify for a Visa Signature version of a credit card, you would likely see a logo with 'Visa Platinum' or just 'Visa' on the bottom right hand corner of your credit card. From what I understand, a Visa Signature also usually has a minimum of at least $5,000 for the credit limit. In most cases, booking through the Visa Signature program also allows you to earn credits in the various hotel loyalty programs out there, so it is a win-win situation if you are looking to take advantage of these offers for an upcoming trip. In order to show the benefits you can get from using the Visa Signature Luxury Hotel Collection, I checked travel dates for 8/5 - 8/9 for the Westin Maui Resort & Spa on Kaanapali Beach. 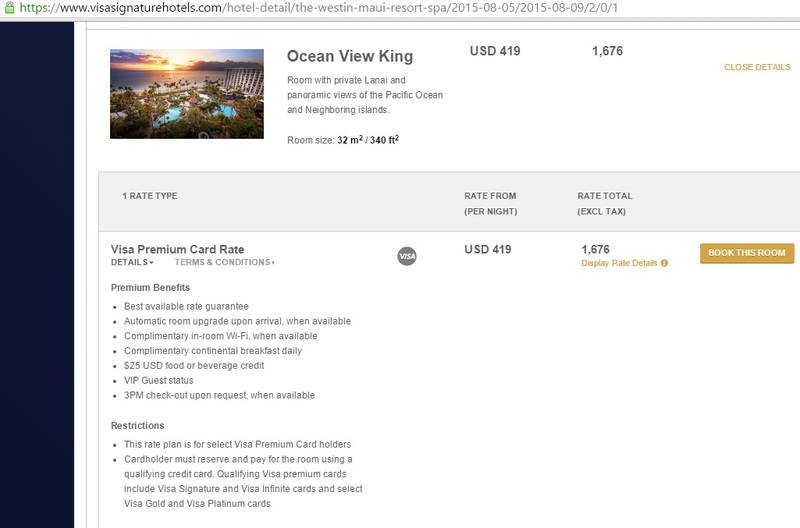 The same room types on both the Visa Signature website and Westin Maui website offer the same prices for an Ocean View Room, yet booking through Visa Signature Luxury Hotel Collection would get you the 7 additional benefits mentioned above, which provides a great deal, as you would get a nice benefit from the daily breakfast, food/beverage voucher and a potential room upgrade. Booking the same Ocean View Room at the Westin website for $419/night with no additional benefits. This offer is available until August 21, 2015 and includes one free movie ticket when purchasing two or more movie tickets. This benefit is only valid on Fridays and can only be used once per a 30 day period, so you would have to act fast to get the maximum benefit from it between now and the 8/21/2015 expiration date. Unless of course you had more than one Visa Signature card to use to buy tickets. 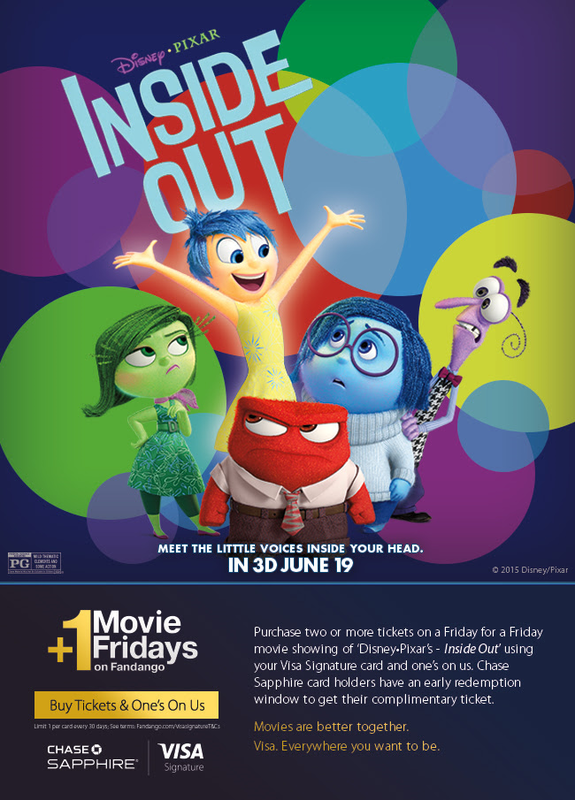 I plan on taking advantage of this offer to see Jurassic World and a few other movies releasing this summer. By redeeming this offer on your Visa Signature card, you can save $5 on $50 or more through 7/25/2015, which works out to a 10% discount. Not the biggest savings, but every little discount helps. Save 10% on selected jewelry at Blue Nile by using your Visa Signature card. Have a special occasion coming up and need some flowers delivered? You can save 20% with your Visa Signature card by using the VISA38 Promotion code. There are numerous benefits that come along with having a Visa Signature Credit Card. I highlighted a few of the benefits that could be of value to you. Other benefits include rental car insurance benefits, lost luggage reimbursement, product warranty extensions, 24-hour concierge service, travel insurance, and the list goes on and on. The categories of benefits cover everything from shopping, dining, entertainment, travel, sports tickets and more. I could include an entire list, but the Visa Signature website does a very good job of explaining the various benefits and perks of being a part of the Visa Signature network of credit cards. I've taken advantage of some of the Visa Signature benefits and feel they are wonderful perks to have and can offer customers peace of mind knowing Visa can be of great service to them when it's needed. My experience using the Visa Signature Hotel Collection was a very good one, as I used it to book a stay in Napa at the Andaz Napa. 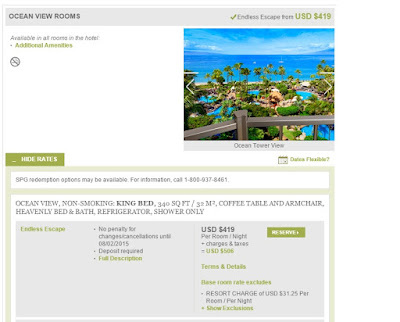 The same price was offered for the same room on both the Hyatt Andaz website and the Visa Signature website, with the Visa Signature benefits throwing in the extra benefits. Upon check-in I was given a breakfast voucher for $40 (free breakfast benefit) and upgraded to a larger suite for no additional cost. If you have any upcoming trips it would be worth your while to check out the hotel collection and see if there are any offers you can take advantage of. Another thing of note, for the hotel loyalty programs, is that using the Visa Signature website also allows for tier status in hotel loyalty programs and the stay/nights count as credit in the hotel loyalty programs for those of you looking to maintain status or gain status in a hotel loyalty program such as Hyatt Gold Passport. In other words, you get Double the Rewards! I plan on posting my Andaz Napa experience soon and more information on the Hyatt Gold Passport Program. If you have a Visa Signature credit card in your wallet, take advantage of these great benefits and maximize all of the perks offered under this program. Your wallet will thank you!